One dessert that I particularly love to make is Mamita’s Rice Pudding. It is simple, tasty, creamy and easy to make, yet always delivers. I had some tangerines at home a couple of weeks ago and was craving something sweet, so I made this tangerine flavored rice pudding and we absolutely loved it. My husband said that this was the best rice pudding he ever had! It ended up being a great alternative to my traditional rice pudding recipe. I am giving away a $150 Visa Gift card from BlogHer. All you need to do for a chance to win is go to my review page here. In a large saucepan over high heat, combine the rice, water and salt and bring to a boil. Add the tangerine rind, cinnamon sticks and reduce the heat to medium-low and cook uncovered, stirring once or twice, until the rice is tender, 30 to 35 minutes. 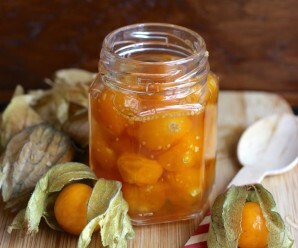 Remove the tangerine rind and cinnamon sticks. In a medium bowl mix together the milk, vanilla and condensed milk. Pour the mixture over the rice, stir, and reduce the heat to low. Cook for about 20 minutes more stirring occasionally. 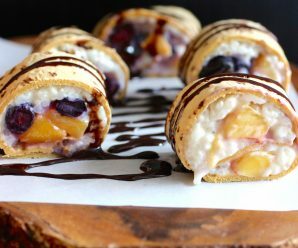 Set aside to cool slightly or refrigerate. The rice pudding can be served warm, at room temperature, or cold. 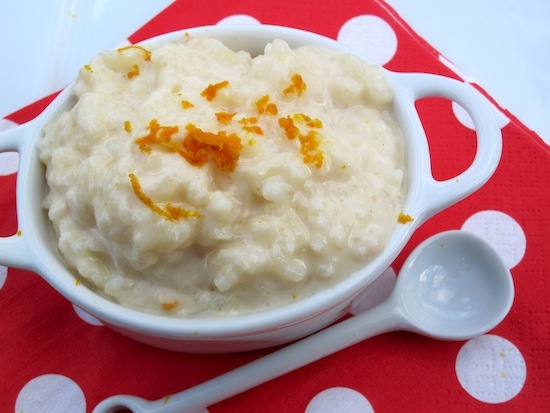 To serve: Spoon the rice pudding into bowls and garnish with tangerine zest. Yummy I might have to make an adaptation of this with some leftover rice I have.. The tangerine flavor in this rice pudding must be out of this world delicious. I am just like…Wow, why have I not thought of this before! I love orange flavored EVERYTHING! LOL Great recipe Erica! What a great rice pudding! Tangerine must add such a bright, refreshing flavor! 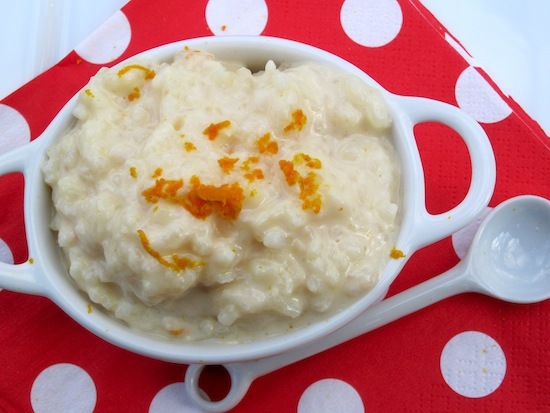 I love tangerine in the winter, and the idea to combine it with rice pudding is terrific! what a welcome version of rice pudding for the dark, dreary days of winter! I actually had some of Erica’s rice pudding when she made it. I have to say it was delicious. The texture and flavor was perfect. I hope she makes it for Christmas. This rice pudding sounds so unique with the flavor of tangerine, very nice! Lovely idea Erica, I absolutely love tangerines smell. Looks really yummy. 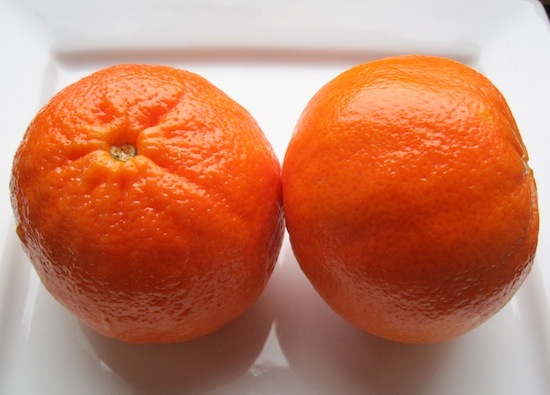 I think that tangerines are one of my all time favorites. I guess the easy peeling when I was a child. I bet the citrus really livens the taste of this! It sounds wonderful, Erica! Wow I had to try this, I love tradicional Arroz con Leche, but this is great… just happen to be in Asia this time of year mandarins are plentiful and are given away as good luck wishes for the incoming year. Loved this variation.